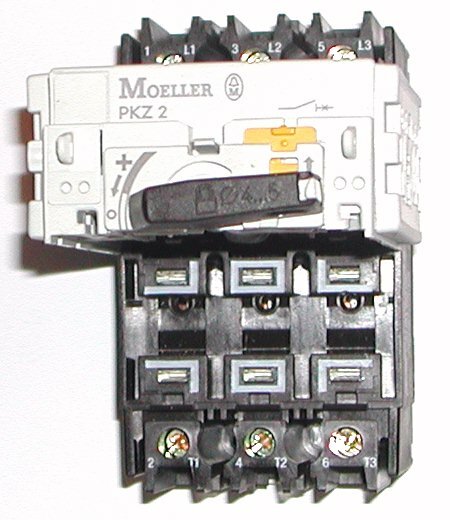 Klockner Moeller PKZ2 motor protectors combine short circuit protection with an adjustable motor overload. Selection guide with accessories and optional S-PKZ2 contactors. complete units, includes switch and trip unit. 2 N.O. + 2 N.C.